Varun Dhawan was seen at 'First Class' song's launch event. 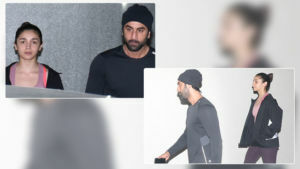 He was soon joined by Alia Bhatt on the stage. They were twinning in black ethnic wear. Varun and Alia were soon dancing their hearts out on the stage. 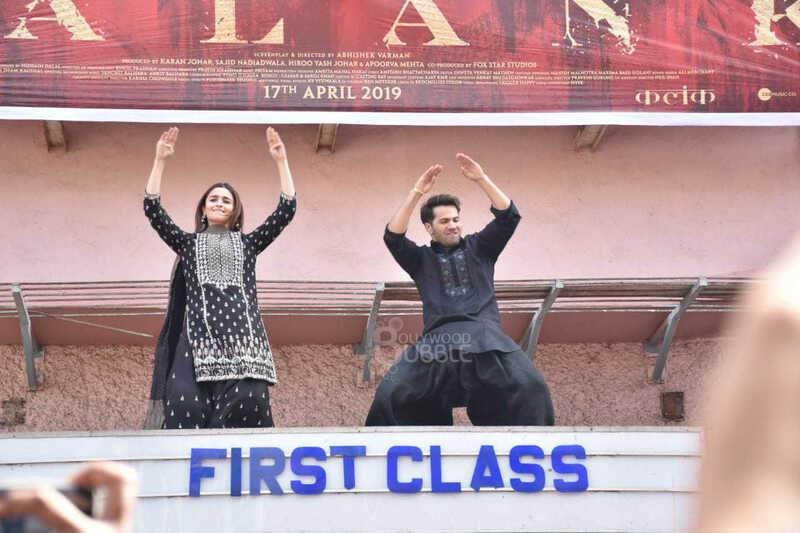 This is Varun Dhawan and Alia Bhatt's trademark pose. We love their picture perfect moment on stage. This picture showcases the endearing friendship shared by Varun Dhawan and Alia Bhatt. The song launch was at the Gaiety Galaxy theatre in Mumbai. 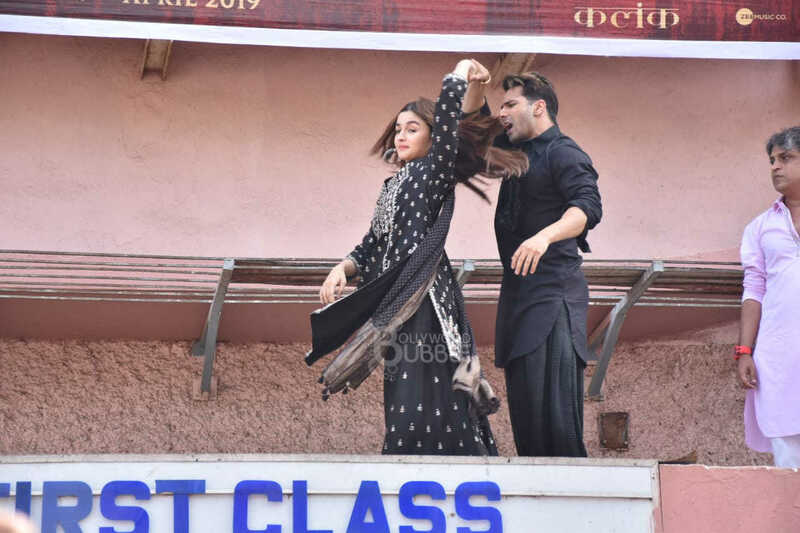 Varun and Alia soon pulled an Akshay Kumar stunt and danced for their fans. 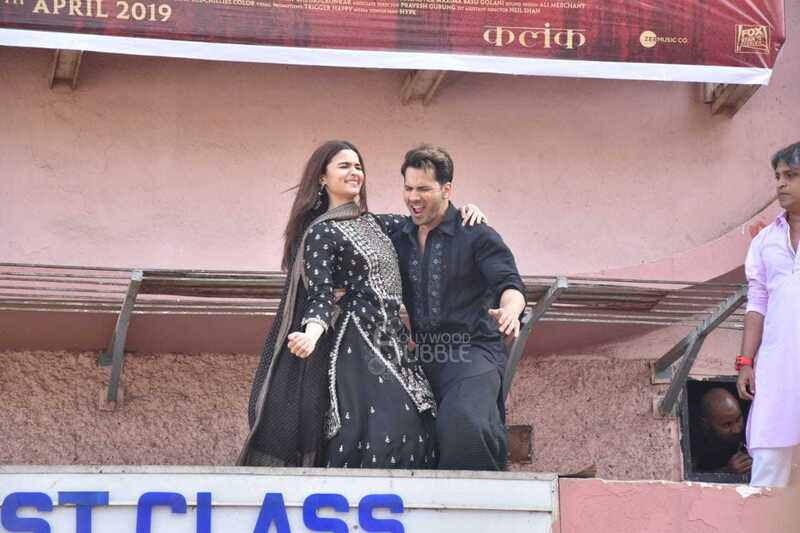 Varun and Alia are the King and Queen of promotions.